As we get older changes occur in our skin. Skin becomes thinner and more fragile, and subcutaneous tissue, that also gets thinner, causes blood vessels under the skin to become more obvious. The first step is to book in for a Dermatology Consultation with one of our doctors. They will provide an in-depth which does and in-depth analysis of your skin. They will then make a diagnosis and advise on appropriate treatment. If there is an underlying skin disorder it is important to treat this first, sometimes antibiotics will be required. Other factors like wearing daily sunscreen and topical vitamin C will also be discussed. 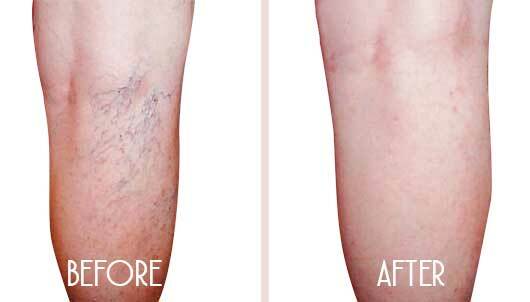 There are many different treatments available for redness and thread veins on the face, body and legs. IPL laser, Pulsed Dye Laser, Dermarolling, micro-needle fractional radio frequency & Sclerotherapy are all available at The Adare Clinic.